Getting to China is a very long and exhausting process. We arrived at the airport at 5:15am since our flight was at 7:15 and they recommend arriving two hours before international flights. I say we because I am participating in an A&S International diversity program and there are nine students and one U of L professor. 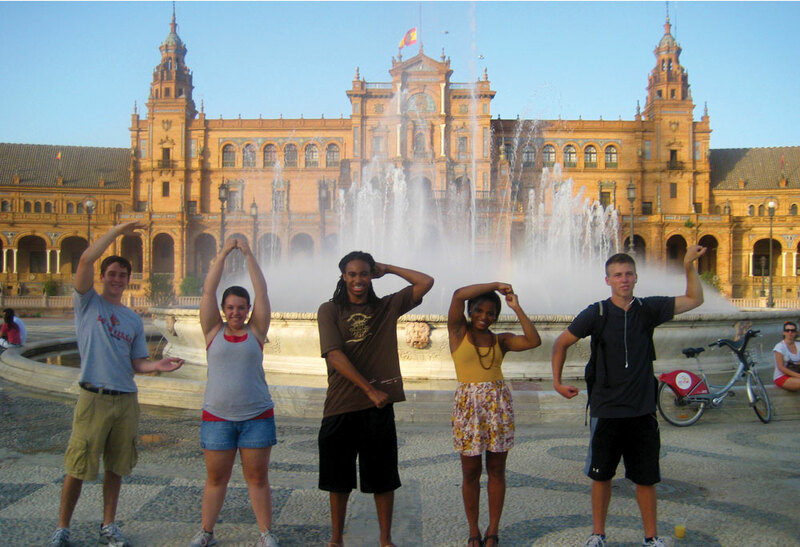 The trip is called the summer study abroad in China program. This is the 10th year for this program and we are the largest group thus far. Every student on this trip has studied Chinese for at least two semesters with the exception of one girl who has actually never studied Chinese before. Back to the trip; we flew from Louisville to Chicago and then to Shanghai. The flight from Chicago to Shanghai was around 14 hours nonstop. Thankfully we were flying Delta Airlines, because they have individual entertainment centers for each passenger on certain planes, I’m thinking mostly on the planes reserved for long flights. If you’re not sure what this is, I will explain it to you. So, there are individual T.V. screens mounted in the back of the head rests and each passenger can control their own screen. Through this touch screen you can pick movies, T.V. shows, listen to music, play games, and I’m sure something else that I’m forgetting. I would definitely recommend flying Delta Airlines for long trips. It is so nice to have something to occupy your time on a 14 hour flight, but be sure to get up to stretch and get your blood circulating through your legs often. Upon arriving in Shanghai we had to clear customs, which was rather simple and easy. We only had to wait in line for maybe 5 to 10 minutes before seeing a customs agent. Once we made it to the agent, he just checked our visa and then took a picture of us, and that was pretty much it. We came to China to study at Beijing Foreign Studies University, but we flew into Shanghai to visit for around five days before going to Beijing. One day we took a trip to nearby SuZhou to visit the silk market and see its canals. The silk market was interesting and educational in a non-boring way. We got to go through the factory and watch the workers in action. We saw every stage of production, from the silk worms themselves all the way to them spreading the silk to make a comforter. At the end of the tour there are a couple of shops where you can buy anything silk at wholesale prices. We also went to the Yuyuan Garden which is an old part of Shanghai where all of the buildings look like what you see in movies that are set in traditional old times. There are many shops and places to eat in this area. We also went the harbor and took a one hour boat cruise. On one side of the harbor is all the modern buildings some of which you might have seen on a postcard or some other picture that represents Shanghai, and on the other side is all the buildings that were built in the early part of 20th century between the last emperor and the current Chinese government. All of these buildings are interesting because they were built by various European countries and you can see the difference in style from one building to the next, e.g. one building built with German architecture and the next with French architecture. After five days of exploring Shanghai we took an 11 hour overnight train ride to Beijing to begin our studies. Each room on the train had two sets of bunk beds. While the beds were not the most comfortable, they are better than the alternative of sleeping in a chair. That’s all of this post, more to follow soon.